Calling all French-giraffe fans (there’s actually quite a lot of you)! Sophie the giraffe, the world’s most loved teething toy, was created in France more than fifty years ago. Since that time, Sophie has become wildly popular and is chewed on by bubs all around the world. 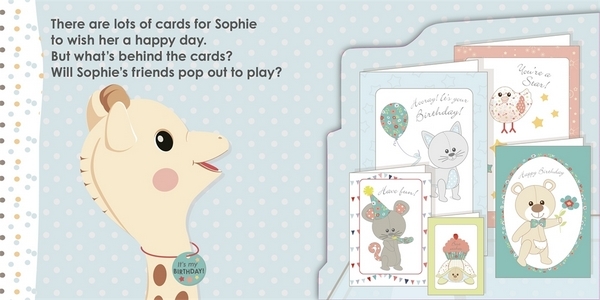 Sophie has her own range of board books for babies and toddlers, including brand new titles, Happy Birthday Sophie! and Sophie Peekaboo ABC. Both of the new books are beautifully illustrated in a soft pastel palette and include tactile elements, pop-up surprises and flaps to lift. Happy Birthday Sophie! 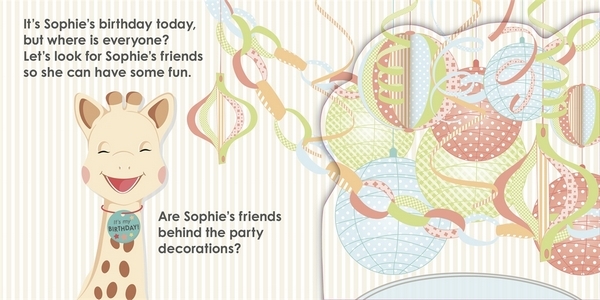 has fantastic birthday-themed pop-ups – a cake with a single candle pops out from behind bunting and streamers; a vase of flowers hides behind Sophie’s birthday cards plus there’s balloons, presents to open and party guests. Importantly, both books are robust, with thick board pages and pop-up elements that are not overly complex or fragile. Board books are often used by teething babies for more than just ‘reading’ and I suspect that bubs will find these every bit as satisfying as Sophie herself! 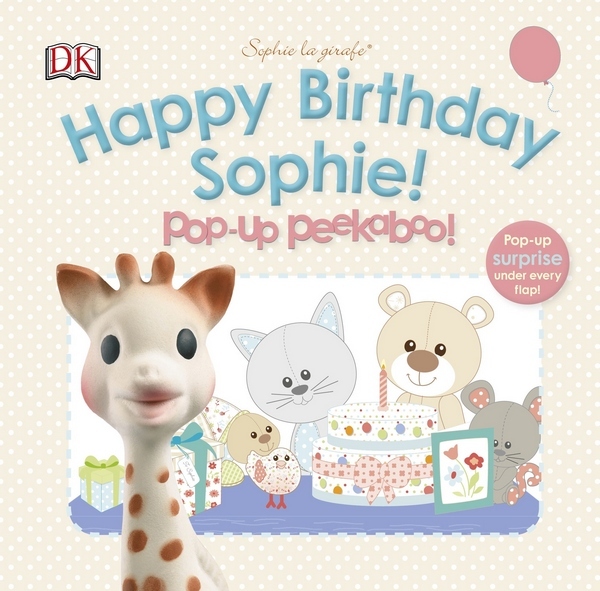 Find Happy Birthday Sophie!, Sophie Peekaboo ABC and the full collection of Sophie titles at all good book stores or online directly from Penguin Books Australia.